THE FURTHEST REACHES OF YOUR IMAGINATION ARE CLOSER THAN YOU THINK. With versatile landscapes, experienced film crews and incentivized tax breaks, the only limit to filming in the U.S. Virgin Islands is your imagination. Enjoy up to a 29% tax rebate and up to a 17% transferable tax credit when you film in the USVI. For more opportunities in St.Croix, St. John and St. Thomas, call 340.774.8784 ext. 2243. Meet the busy producer who has an uncanny ability to spot great talent and material. Chris Brancato is a hot property who knows how to keep his cool. 38	IT’S TWITCH TIME Welcome to the brave new world of producing. 51	PGA HEALTH: WHAT’S YOUR STORY? 1411 Broadway 15th floor New York, NY 10018 646-766-0770 Tel. team. Peggy Jo Abraham has been named Director of Communications and the Editor of Produced By. Peggy Jo has a rich and varied background that includes producing, reporting and writing hard news and entertainment news. During her years in the news business, she was honored with both an Emmy Award and a Golden Mike award. After transitioning to the entertainment field, Peggy Jo served as Executive Producer for E! News, focusing on film, TV and music. In the digital space, she ran E! News Now, which created daily, hosted videos that were distributed to major online platforms. In other lives, she has worked as an editor for an all-news website, a media consultant and copy editor. We know that Peggy Jo is open to fresh ideas and concepts for Produced By, in order to better serve our membership. Please keep that in mind as you embark on new journeysâ&#x20AC;&#x201D; creating innovative, stimulating and inspiring content. We want the magazine to inform, educate and entertain, as we celebrate and honor the work you do. ur entertainment is no longer limited to one or two formats. Imagine if you could switch it up when it comes to your viewing pleasure. What would be your new fave? WHICH BOARD GAME WOULD YOU LIKE TO SEE MADE INTO A TV SHOW? WHICH OF THESE FILMS WOULD YOU LIKE TO SEE IN A DIFFERENT GENRE? Entertainment options may vary by aircraft and route; not available on all aircraft. Check our listings at delta.com to make sure your aircraft or route is included. can change the heart, which is the only way I know of to change made-up minds,” said Neal Baer, a former pediatrician, now TV writer, director and producer, known for his work on ER and Law & Order: Special Victims Unit, and current showrunner of the new Designated Survivor. Margaret Huang, Executive Director of Amnesty International USA, emphasized her organization’s willingness to work with content providers to present accurate and hopeful depictions of the immigrant population. “When it comes to talking about refugees and asylum seekers, the power of storytelling is needed now more than ever to convey the humanity behind the headlines. Content creators are critical in changing hearts and minds by bringing these stories to America’s living rooms. We are proud to offer the collective research and on-the-ground expertise of our global teams to help guide the stories you tell.” ¢ The PGA Diversity and Inclusion Committee invites PGA member input for future events and initiatives. Contact: PGADiversity@gmail.com. er smile comes readily, but don’t be mistaken—her mission is dead serious. 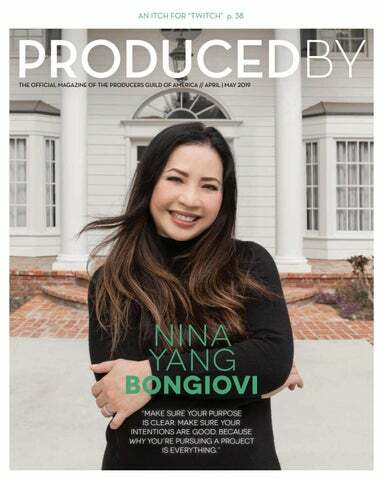 Nina Yang Bongiovi is a champion of filmmakers and a director’s best friend, especially if that director is a woman, a person of color or both. It’s definitely a long journey from Taiwan to East L.A., and one could argue it’s an equally long trek from there to Hollywood success. Bongiovi has navigated these waters with a fearless spirit and razor-sharp instincts, while facing devastating personal setbacks along the way. Both the professional roadblocks and family losses have given her a healthy perspective on her career as a producer. She does not “sweat the small stuff” now. And recognizing that it’s all mostly small stuff is, in her mind, a huge gift. Bongiovi has an uncanny track record when it comes to believing in talent—often first-time or relatively unknown directors. Can you say Ryan Coogler? When she first met the director, he was still in graduate school, and Bongiovi says no one was giving someone like him a shot at success. Today she speaks of the “Coogler effect”—the fact that now so many people are looking for “the next Ryan Coogler.” This makes Bongiovi laugh, but she is also genuinely proud of having been part of that change, where Hollywood is more willing to be open to new, untested filmmakers. This passionate producer has found the perfect business partner in Forest Whitaker. From an unlikely trip to China together— when the two didn’t even know each other—to the formation of their Significant Productions banner, they share an enthusiasm for diversity, in both subject matter and collaborators. Together they have been ahead of the curve, recognizing the need for inclusion before it was commonplace. But as Bongiovi puts it, they operate quietly, helping unknown or struggling filmmakers pursue their dreams. The unwavering support she offers and the fierce belief in her directors are what set this executive apart. There are producers and there are pillars of strength. Nina Yang Bongiovi is both. WHEN YOU FIRST THOUGHT ABOUT ENTERING THE ENTERTAINMENT INDUSTRY, WAS PRODUCING A GOAL OF YOURS? I grew up predominantly in East Los Angeles, and I don’t think any of us were told that you can pursue a career in entertainment and in Hollywood. And even though the proximity is only about 20 miles away, we weren’t afforded that awareness—that you could pursue a producing career. So I would say no. When I first got into the industry, I was in grad school at USC, and I got a job as an analyst in marketing and media research. Right away I knew this is not what I wanted to do. I wanted to make movies and I wasn’t even close to my goals with this corporate job. I knew by the time I graduated, I needed to make the move into the production realm. I started as an assistant to an action director in Hong Kong, and then we ended up moving to Shanghai to continue working on films and television shows. So that was my first foray into the world of moviemaking—martial arts/action films. WHAT MADE YOU EVEN CONSIDER WORKING IN THE INDUSTRY? I thought I was going to be a journalist at one point. I remember at a very young age my mother said (in Mandarin), “You should be a news anchor.” That’s because when my family immigrated to this country, my mom watched Connie Chung on TV. She thought, “That’s a good choice for you.” It was because Connie was the one Asian American image for us as a family in America. That’s the closest I would say that the “entertainment industry” came into the fold. Fortunately my mom didn’t push me to be a doctor, lawyer or a scientist like what’s most expected from Asian families. quences. And I was like, “Man, the action is so good. If they only had a good script.” [LAUGHS] Then I thought, “I wonder what that process is.” But while I’m there, I’m just breathing in everything because I love the actual production aspects of making a movie. So I was enthralled with everyone’s roles on the crew. AT THAT POINT, DID YOU THINK ABOUT BECOMING A WRITER AND WRITING YOUR OWN SCRIPTS? I never thought of myself as a writer. I just thought putting together a project would be so incredibly exciting, but daunting at the same time with not knowing what it takes. AND YOU THOUGHT IT WOULD BE A MUCH BETTER MOVIE IF IT HAD A GOOD SCRIPT. Exactly. But I didn’t have a say in the early development process. I was just an assistant to a director. I was getting tea and heating up soup. I thought if I was a producer, then I would have a say. I could go after projects I wanted to see on screen and put them together. I was very naive at that time, but it was a lofty goal. Cut to 10 years later is when I really felt I was a producer. So from the time I started as an assistant to a director and then trying to figure out what producing was about, raising money, “producing” random projects here and there, I had never felt I was a real producer. I always felt a bit insecure about what it really takes to make a great film. It was an educational process. Sometimes I would say I failed for the first 10 years of my career. But friends would tell me, “No. You didn’t. That’s your learning curve.” And it took me quite a while to understand that, but I never gave up on wanting to become a bonafide producer. Fruitvale Station was the first film I felt where I was able to drive something from inception all the way to the end and support an incredible filmmaker, Ryan Coogler, at the same time. AS A PRODUCER, WHAT DO YOU SEE AS YOUR MAIN ROLE, YOUR MOST CRITICAL FUNCTION? I think the most critical function is to champion the filmmaker, to support the vision of the director that I have chosen to work with, or I have pursued to work with. And I need to do everything in my power to make that vision come through in the most resourceful way possible, balancing art and commerce. HOW DID YOU FIRST CONNECT WITH FOREST WHITAKER? I first connected with Forest in 2009. It was an adoption story, a movie that I wanted to produce in China to address racism, prejudice and cultural differences. I didn’t know it was a subject matter that actually appealed to him. I worked with a friend on a spec script that spoke about those issues, about an interracial couple going to China to adopt a Chinese baby. BOLD. Yes, bold or blind faith. I submitted an offer backed by a financier, and Forest actually read the script and called me. I was quite intimidated. And he said, “I really love the story and what you’re trying to say here, but the script isn’t strong enough … I can help you.” And I’m thinking, “Who are you? !” I remember saying, “I don’t have the funds to hire another writer. I’m not sure what we can do.” And he told me, “I have a couple friends who are top screenwriters, and I’ll see if one of them is interested in supporting the project.” During that time he asked me when I was going back to China, and I told him I would be going back soon. AND DIDN’T THAT BLOW YOU AWAY? Yes. It blew me away because I’m thinking he’s an A-list star who won the Academy Award for The Last King of Scotland. And he’s helping me with a story that I want to tell. pedalonthepier.org to guarantee a seat on one of the 100 available stationary bikes. race, culture and class. And so now it doesn’t surprise me, but at that time I was thinking, “What is happening?” And I actually thought, maybe my mom and my sister sent me an angel to help me in my career that I was so down about, because I felt like I was failing on so many levels. SO HE DIDN’T KNOW AT ALL ABOUT WHAT HAD TRANSPIRED WITH YOUR FAMILY BEFORE YOU GOT THERE? No, not until we got to China. We spent some time together and I talked about it. And I think he’s so intuitive that he probably knew I was clinically depressed. He had a lot of empathy, but he didn’t feel sorry for me. It was more like he understood because he’s a very spiritual man. And then he also got to spend time with my dad and a couple of my childhood friends. And what’s great is, when we went to Shanghai, many friends from my early production days resided there. And they said, “We got you. You come with Forest. We’ll take care of you. We’ll show him the city. We’ll show him how we work here. We’ll take care of him.” So Forest was well taken care of by my old team from Hong Kong. And he had a great time. It was kind of scrappy, and I was hoping he didn’t mind, and he didn’t. I didn’t know him well enough then to know that he’s such a kind soul. WHAT ABOUT SOME OF THE RECENT SUCCESS STORIES? DO THEY MAKE A DIFFERENCE? They do make a difference. I think of what Crazy Rich Asians has done, as well as Black Panther, Moonlight, Hidden Figures and Get Out, all these wonderful movies … they have paved a wide path in discussions of what’s out there for financiers and studios and networks to back. And I’m getting a lot of calls these days asking, “Do you have any Asian projects in development?” The real test is if folks will buy or fund scripts without the word “rich” in the title or subject matter. However, what’s positive is that there are more opportunities for sure, where I hear of studios looking for filmmakers of color, making an effort to diversify abovethe-line and below-the-line talent, to work with more women and women directors. So you see that shift happening, and it allows us to be in the room to talk about projects. It allows us to send projects to executives who have a keen interest and an initiative in giving diverse story perspectives a shot. YOU WERE ACTUALLY IN THE FOREFRONT OF THAT WITH FIVE FILMS AND FIVE DIRECTORS OF COLOR, AND MANY OF THEM FIRST-TIME FILMMAKERS. Thank you for saying that, because we’re really proud of it. Forest and I pride ourselves on being inclusive, but we do it quietly. We just produce our movies, and we push them out into the world by any means necessary. Fortunately all five of them launched at Sundance in competition, which is mind-blowing for us, and also catapulted all these wonderful filmmakers’ careers. We are in the forefront of this movement. I feel like we’re pioneers of it because we were champions of diversity at an earlier time, before it was really popular. And there are people coming to us asking, “Would your company adopt an inclusion rider?” And I say, “We’ve been doing that since 2010.” We’re just not loud about it, but everything we do represents inclusion. Keenan Coogler, Bongiovi, Michael B. Jordan, Ryan Coogler celebrate at the Cannes premiere of Fruitvale Station in 2013.
about 20 pages, and I was going line by line, explaining what everything meant. And at the last page he goes, “That sounds great to me.” And I had tears in my eyes, thinking “I can’t believe we’re getting this.” I immediately called Ryan and said, “She agreed!” Thinking back, it was really funny because that was just the first big hurdle. WHO WOULD HAVE THOUGHT— THE MINISTER? Yeah. It was an unconventional approach. [LAUGHS] And I’m still close with Wanda. AND DID YOU TALK WITH HER MINISTER? I sit on the board of the Oscar Grant Foundation, and it provides at-risk youths with scholarships in Oakland and educational support; plus Wanda works with coalitions across the country to address social issues. Helping children of the world enrich their lives with music. Make a donation at rheuben.org and make a childâ&#x20AC;&#x2122;s life better through music. ALL DONATIONS ARE TAX DEDUCTIBLE. WHICH HONORS PRODUCTIONS THAT BRING TO LIGHT IMPORTANT SOCIAL ISSUES. We were a very intimate movie that was noticed by the PGA, and to honor us with the Stanley Kramer Award was huge for us. It was the film’s energy, love and its purpose that allowed it to flourish and allowed a filmmaker like Ryan Coogler to flourish. It was meant to be his directorial debut. It’s Ryan’s destiny to be this influential today from all his narratives. success with Rick Famuyiwa. Once again the project was challenging because Rick and I went to every studio that he wanted to work with and they all said no. They said no to a movie that to me is so fun, original, and not in the marketplace. I remember telling Rick, “Don’t worry. I’m going to get this funded. Let’s make it independently.” So that’s when I went back to my childhood friends—by now we’d gathered six of them and created a film fund. Yeah, from Asia, Asian Americans, to create a fund to support Dope. Then concurrently we supported Chloé Zhao’s first movie, Songs My Brothers Taught Me. That was the third. The fourth movie was Roxanne Roxanne—a similar situation where it was tough for traditional financiers and studios to take on. But we had a fund so we got it done, and it went on to premiere in Sundance 2017. WOW. SUNDANCE HAS BEEN GOOD TO YOU. They’ve been good to us. They’re magnificent to collaborate with— to give our films and filmmakers a platform for the world to see, because these films are all underdogs. But underdogs that won at the end. SO ALL OF YOUR FILMS HAVE DEBUTED AT SUNDANCE? All of our independents, in competition. Every year they choose 16 films in U.S. Dramatic Competition, 16 out of 13,000+ submissions. So we’re very blessed that all five of them got that platform, and to have fans, distributors and buyers who love what we’ve done. producers’ progress in their fundraising efforts, but there were no bites. Years had passed since he had written the first draft of his screenplay in 2010. I was on set in New York during the Summer of 2016, and Boots came to see me. I told him once I finish Roxanne Roxanne, I will take on his film next. I loved his vision but I honestly didn’t know what to do with the material [with financiers] because it was so revolutionary, so unique. That meant I didn’t let my core investors read the script. [LAUGHS] I was nervous because it’s a very ambitious project to produce independently. But I believed in Boots and so did our amazing cast. I’m thinking, “Either this is going to be genius or it’s going to be a bomb. There is absolutely no middle ground. So let’s do this!” And thank God it’s genius! hundreds of people in between takes. “It was hard at times, but people were excited about what we were doing. The word ripples out quickly. It’s not just one movie, it’s a movement,” says Pokorny. Pokorny and the team developed a strategy that used renewable energy sources at every turn. They had solar-powered work lights by DC Electric, portable solar-powered VOLTstack generators and Ecoluxe solar trailers. They even provided EV Safe Charge electric charging stations for crew members, enabling them to carpool up to the ranch from L.A. in electric vehicles. Catering and craft services did their part: It was a tall order to feed 500 to 750 in cast and crew some days. They generated more than 30,000 pounds of compost, which when diverted from landfills means some 20,000 pounds of carbon dioxide was avoided. Organic meal options were served every day, and leftover food was donated to Rock and Wrap It Up, who in turn served more than a thousand meals to homeless people in L.A.
Chris Brancato and Forest Whitaker on the set of Godfather of Harlem. Whitaker stars as crime boss Bumpy Johnson. Brancato with Chazz Palminteri, who portrays the character known as Bonano. Below: Giancarlo Esposito plays Adam Clayton Powell Jr.
and get it on the air perhaps than it’s ever been,” he says. “Every executive—and I’ve grown up with most of these people over the last 30 years—has heard every pitch, in every incarnation. There’s almost no pitch you could ever give them that they haven’t heard in some way, shape or form. So how do you get it to on air, as opposed to in development?” The answer, he maintains, is to create a tsunami: a combination of factors, from the concept to the actors and producers involved, that together create something a network executive will not only be excited about, but also afraid to ignore. “The only way to get you [a network executive] to say yes is to make you terrified to say no—to make you worry that your competitor’s going to get that show. Our services are expertly integrated through customized workflows for a seamless, hassle-free production from greenlight to delivery. We save you time and money, because we’re made for what you do. Made for the business of production. It was a golden night as the Guild hosted its 7th Annual Oscars Viewing and Recruitment Party at Jalapeño Pete’s in Studio City. Some 200 PGA members and guests packed the venue, enjoying cocktails and food while mixing with friends old and new. The elegant décor featured 20 dozen stunning roses, donated by Passion Roses. To help keep everyone safe, Lyft offered discounts to and from the event. Throughout the evening, guests took candid shots in the Hollywood-themed photo booths and on the red carpet. The fun-filled night was hosted by PGA member and Oscars event co-chair Michelle Romano. PGA Vice Presidents Carrie Lynn Certa and John Canning delivered some rousing motivational speeches, which had all the guests cheering. The Guild looks forward to welcoming the attendees who took time in between the partying to sign up for new membership. STAR WARS: SECRETS OF THE EMPIRE VOID MARCH 5, GLENDALE, CA The PGA New Media Council presented Special Venue Deep Dive: The Void, the second successful event of the recently launched series designed to showcase new media technologies and on-site venue experiences. PGA New Media Council Board Member Ed Lantz and a team of volunteers produced the gathering, which took place at The Void demo venue, located within Disney Accelerator in Glendale. Guild members began the evening by enjoying drinks and pizza while networking. After that, The Void staff took groups of members to view a demo of the Star Wars: Secrets of the Empire Void VR experience. Members also had the chance to discuss the demonstration and ask questions of Sean Griffin, Head of Business Strategy at The Void. Thank you to The Void for hosting the PGA West event and to all the volunteers who helped NMC board delegate, event producer Ed Lantz make it happen. MASTERING CAREER LONGEVITY, FEBRUARY 25 FRANKFURT KURNIT KLEIN & SELZ, NEW YORK The timely and important topic of longevity in the workplace was the focus when PGA members gathered for a panel on Mastering Career Longevity. A reception followed the event, which was held at Frankfurt Kurnit Klein & Selz law firm in New York. The panel examined ways to address the problem of job-related age discrimination in three main areas: the job application process and questions asked during that period; issues of discrimination once someone is hired; and how storytellers can address these problems in their productions. Guild members also shared their personal experiences related to the issues and discussed ways producers can rebrand themselves. Offering their expertise were: producer Alexis Alexanian (Love Is Blind, Maggie’s Plan); producer Kati Johnston (Bull, Limitless); Dr. Ali Mattu, licensed clinical psychologist and assistant professor at Columbia University Irving Medical Center; Dara Smith, senior attorney to the AARP Foundation Litigation; and Wendy Stryker, counsel to the Employment and Litigation groups at Frankfurt Kurnit Klein & Selz. The discussion was moderated by producer Todd Baker (left to right) Moderator Todd Baker, Dara Smith and and will be posted on the Wendy Stryker Guild’s website. PGA members at the Mastering Career Longevity workshop, asking questions. Jane Applegate has the microphone. Guild members got together for a Speed Networking event at Retro Report in New York City—a great opportunity to connect, hosted by PGA East’s Employment Committee. Featured speaker Michael Roderick opened the session by giving a short informative presentation on effortless connection—how to easily connect with any person, in any room. Members were then seated across from each other to practice their personal pitches in groups of two, shifting seats so they would meet most attendees by the end of the evening. The formal networking program was followed by a reception. The PGA Capital Region hosted a two-day line producing workshop at the National Association of Broadcasters headquarters in Washington, D.C. Thirty PGA members and nonmembers from D.C., New York, Los Angeles, Richmond and Baltimore attended the sold-out event. Maureen Ryan, line producer for the Academy Award and BAFTA-winning documentary Man on Wire led the informative workshop. Ryan, who has published two books, Producer to Producer and Film + Video Budgets, is an Associate Professor in the film program at Columbia University. She has more than two decades of production experience. The workshop covered such topics as production insurance, pension and welfare, union versus nonunion rates, stunt coordinators, SAG contracts, archival licensing and music. CAPITAL REGION LINE PRODUCING WORKSHOP, MARCH 9-10, NAB HEADQUARTERS, WASHINGTON D.C. The PGA and Biola University’s School of Cinema and Media Arts presented a panel discussion for the Guild’s Producers on Producing series. The event took place at the Biola campus in La Mirada, California. Panel members included Gary Lucchesi, President Emeritus, Producers Guild of America and President, Lakeshore Entertainment; Mauricio Mota, President/Founder, Wise Entertainment; and Hayma Washington, Chair Emeritus, Television Academy. About 100 students were on hand to hear about current trends, challenges and the issue of diversity in the entertainment business. The discussion was followed by an informative Q&A session. The event was sponsored by Cast & Crew, strong supporters of inclusion across the industry. ON THE LOT LUNCH, FEBRUARY 2, NBCUNIVERSAL, UNIVERSAL CITY An enthusiastic group gathered for another successful PGA On The Lot Lunch—this time at NBCUniversal. Kelly Pancho and Emman Sadorra from CannyLads Productions hosted the lively event. The PGA-sponsored gathering brought together 15 Universal producers, including PGA members and prospective members. After each person introduced themselves, Vance Van Petten, National Executive Director of the PGA, presented an overview of the Guild and the many opportunities and benefits offered to its members. The casual atmosphere made it the perfect time to share a lovely lunch, discuss the Guild and build the producing community on the lot. Many thanks to the CannyLads team who made everyone feel so welcome. If you would like to host an On The Lot Lunch on your lot, just email karen@ karencovell.com. onsumers have shifted their viewing to interactive devices (iPad/iPhone, Xbox, PS4, PC), and now creators are free of many of the limitations of broadcast television. But few traditional producers have taken advantage of this fact. Those who have are typically native to these new platforms, and they operate in a world that is as much about participation as it is about watching. Acronyms, pixelated faces and cryptic icons fly past, almost faster than you can read. Symbolic “emotes” flood the screen as viewers react to a big moment—from excited to shocked, heartbroken to overjoyed. It’s a live chat, flowing like a river of alien symbols. A conversation like this is the backbone of one of the most popular live streaming video platforms on earth. Its focus is primarily on video game live streaming, but it also includes broadcasts of esports competitions, music, “in real life” streams, and most recently, scripted “TV” programming. This is Twitch. Its scale is extraordinary. As early as February 2014, it was already considered the fourth-largest source of peak internet traffic in the United States. By May 2018, it had 2.2 million broadcasters monthly and 15 million daily active users, with around a million average concurrent users on 27,000 Twitch partner channels. The core draw for viewers is an insatiable desire to watch others with similar interests play games, engage in unique interplay with other viewers and users, boo or cheer the gamers and … simply hang out to chat. Twitch viewers post more than 300 messages per second, and while a lot of it may appear rather meaningless and trivial under all those layers of almost indecipherable noise and emotes, there is definitely meaning. block of lengthy text repeatedly copy-pasted in an online forum or chat room. 2. (On Twitch) Lengthy text that is copy-pasted repeatedly in Twitch Chat, often to make fun of something through satire and repetition. Airline Interiors • Commercial Airlines • 4 Executive Jets • 5 Cockpits • And More! LEGAL SEMINAR APRIL 30 This promises to be an informative evening for PGA members in the D.C. area. Featured speakers Seth Polansky, Nicolas Bernasconi and Tiffany Gray will guide participants through key legal considerations that all producers should understand. As both lawyers and producers, Seth and Tiffany will share lessons and case scenarios that can help prepare you for your next production. Nicolas, Director of Business and Legal Affairs for National Geographic Partners, will offer insight into why networks make certain requests on contracts and what their needs are in order to sell a program. PBS DIGITAL PITCH SESSION MAY 14 Have a great idea for a digital episode that would work on PBS? Here’s your chance to pitch to representatives from the network in a small-group setting. During this 90-minute session, participants will share ideas with representatives from PBS Digital. 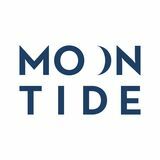 They will be looking for nimble producers with experience in the digital space who can turn around three to five digital episodes within a two- to three-week time frame. Proposals should be written to entertain and educate and can cover a wide range of topics, from science to humanities. The episodes should be geared to an audience of high school age and above. PGA MEMBERS: For more information or to RSVP for events, please consult producersguild.org. The PGA’s favorite roving networking mixer, Thirsty Thursday, is holding a special Meet the Candidates night. It’s a great opportunity to mingle and hear from candidates for the upcoming election, as well as the current delegates who represent you. May’s event will be held at the historic El Cid tavern in Silver Lake. And remember, it’s always a good idea to rideshare so you can fully enjoy the evening if you come thirsty. Chris Lemole, p.g.a. & Tim Zajaros, p.g.a. Noah Haeussner, p.g.a. Jack Arbuthnott, p.g.a. Malte Grunert, p.g.a. CAPTAIN MARVEL COLD PURSUIT Michael Shamberg, p.g.a. Ameet Shukla, p.g.a. producer undertook a major portion of the producing duties on the motion picture. HOW TO TRAIN YOUR DRAGON: THE HIDDEN WORLD Brad Lewis, p.g.a. Bonnie Arnold, p.g.a. CAPTIVE STATE David Crockett, p.g.a. Rupert Wyatt, p.g.a. CLIFFS OF FREEDOM Casey Cannon, p.g.a. DUMBO ISNâ&#x20AC;&#x2122;T IT ROMANTIC Todd Garner, p.g.a. Gina Matthews, p.g.a. Grant Scharbo, p.g.a. Justin Springer, p.g.a. Katterli Frauenfelder, p.g.a. Derek Frey, p.g.a. FIVE FEET APART THE LEGO MOVIE 2: THE SECOND PART Dan Lin, p.g.a. Phil Lord, p.g.a. & Christopher Miller, p.g.a. Jinko Gotoh, p.g.a. MISS BALA Kevin Misher, p.g.a. Pablo Cruz, p.g.a. THE PRODIGY Tripp Vinson, p.g.a. RUN THE RACE Darren Moorman, p.g.a. Jake McEntire, p.g.a. Ken Carpenter, p.g.a. TO DUST Emily Mortimer, p.g.a. Alessandro Nivola, p.g.a. FIGHTING WITH MY FAMILY Kevin Misher, p.g.a. Stephen Merchant, p.g.a. WHAT MEN WANT To apply for producers mark certification, visit us online at producersguildawards.com. Will Packer, p.g.a. James Lopez, p.g.a. WRESTLE Lauren Belfer, p.g.a. Steven Klein, p.g.a. Cathy Schulman, p.g.a. Justin Baldoni, p.g.a. GRETA James Flynn, p.g.a. Lawrence Bender, p.g.a. Karen Richards, p.g.a. HOTEL MUMBAI Basil Iwanyk, p.g.a. Mike Gabrawy, p.g.a. Julie Ryan, p.g.a. Jomon Thomas, p.g.a. THE KID Jordan Schur, p.g.a. Sam Maydew, p.g.a. NANCY DREW AND THE HIDDEN STAIRCASE Jeff Kleeman, p.g.a. Chip Diggins, p.g.a. SAINT JUDY Paul Jaconi-Biery, p.g.a. Sean Hanish, p.g.a. US Jordan Peele, p.g.a. Sean McKittrick, p.g.a. Ian Cooper, p.g.a. MEMBER BENEFITS ■	Discounted registration for Produced By Conference and Produced By: New York. ■	Vote on Producers Guild Awards and receive discount tickets to the event, as well as DVD screeners for awards consideration. ■	Eligibility for PGA Mentoring Program. ■	Listing of contact and credit information in searchable online roster. ■	Arbitration of credit disputes. ■	Access to CSATTF online safety training videos. ■	Participation in the Motion Picture Industry Health, Welfare & Pension Plan. ■	Admission to special PGA pre-release screenings and Q&A events. ■	Free attendance at PGA seminars. ■	Full access to PGA website including events, calendar, social networking tools, members-only video library. ■	Access to PGA Job Board, online resume search, employment tools and job forums. ■	Wide variety of discounts on events, merchandise, travel. ■	Complimentary subscription to Produced By. THINK GLOBALLY, FILM LOCALLY Gardens, roads, ponds, mature trees, statues, architecture. WHEN I SEE P.G.A. AFTER A PRODUCER’S NAME IN A MOVIE’S CREDITS, WHAT DOES IT MEAN? It means that according to the rules of the Producers Guild’s certification process, that producer performed a major portion of the producing functions on that particular motion picture. DOES THE P.G.A. AFTER THE PRODUCER’S NAME MEAN THAT THE PRODUCER IS A MEMBER OF THE PRODUCERS GUILD? NO. A producer does not need to be a member of the PGA to receive the “p.g.a.” designation after their name. In many cases, the sets of initials you see in movie credits (such as A.S.C. and A.C.E.) indicate membership in an organization. The Producers Mark is different. It’s a certification mark; its purpose is to designate that the producer has met an officially recognized standard of performance on that film. IF A PRODUCER DOESN’T RECEIVE THE P.G.A. MARK FROM THE PRODUCERS GUILD, WHAT HAPPENS TO THEIR PRODUCING CREDIT? Nothing. The Producers Mark doesn’t control or affect the “Produced By” credit in any way, nor does it invalidate that credit by its absence. same process. In addition to the PGA, AMPAS, HFPA and BAFTA all rely on the PGA process to guide their decisionmaking. However the final selection of nominees is always at the discretion of the organization giving the award. Overwhelmingly, these organizations concur with the PGA determinations, but occasionally, the decisions diverge. returned to the PGA by the producers and third parties, with all names of individuals credited on the film redacted, so that arbiters can arrive at a judgment based on the testimony provided rather than the name recognition and perceived reputation of the producers. Following the determination, the PGA staff informs the producers of the decision. Producers who object to the decision have five days to notify the Guild of an intent to appeal. After giving producers the opportunity to add to or clarify their testimony, the PGA will convene a new panel of arbiters. All appellate panels consist of three producers. If the initial decision was unanimous, the appellate panel will consist of one producer from the original panel and two new producers; if the initial decision was not unanimous, the appellate panel will consist of three new producers. The decision of the appellate panel is final. SO WHEN ARBITERS ARE LOOKING AT THESE FORMS, WHAT ARE THEY SEEING? The eligibility form filled out by producers asks them to indicate their level of responsibility for a variety of producing functions spanning development, preproduction, physical production and post-production. The form also includes a free-response section for the producer to more fully elaborate on the specifics of the production and their role on the film. The verification forms filled out by third parties typically ask the respondent questions related to the nature of their collaboration with the credited producers. WHO SELECTS WHICH ARBITERS VET THE CREDITS OF WHICH MOTION PICTURES? That determination is made by the PGA’s Associate General Counsel in consultation with the National Executive Director/COO. WHAT IF THE PGA SELECTS AN ARBITER WHO (UNBEKNOWNST TO THEM) IS BIASED AGAINST A GIVEN PRODUCER OR FILM? The Guild takes proactive measures to prevent that from happening. Prior to convening the panel, the PGA provides all producers with a list of potential arbiters. Producers are free to strike any arbiter for any reason. Such arbiters will not be empaneled for that particular film. Furthermore, all arbiters are asked to affirmatively state that they have no interests in the films to be arbitrated that might result in a biased judgment. Even if all of those hurdles are cleared, an arbiter will be removed from the process if they or the PGA administrator feels that bias is affecting their judgment. p.g.a. way we can hope to get accurate and truthful information. Many producers are powerful figures in this industry and this might put pressure on third parties and arbiters to achieve a desired decision. Keeping those identities confidential is the only way to maintain the integrity of the process. ONCE A PRODUCER’S CREDIT IS CERTIFIED WITH THE P.G.A. MARK, IS THAT CERTIFICATION APPLIED PERMANENTLY TO ALL OF THE PRODUCER’S FILMS? No. A Producers Mark appended to a producing credit applies to that film only. It represents the nature of the work performed on that film alone and does not “carry over” to future productions. WHO DOES THE PRODUCERS GUILD REPRESENT? The PGA is composed of over 8,200 professionals working in motion pictures, television and digital media throughout the United States and around the world. NEW MEMBERS The Producers Guild is proud to welcome the following new members, who joined the Guild in January and February, 2019. PGA HEALTH: WHAT’S YOUR STORY? Who: •Work at a company with a minimum of three employees. Company owner may count as an employee if s/he draws a salary from the company. The Actor’s Fund is the official organization representing the Affordable Care Act to the entertainment industry. CONTACT: (866) 491-4001 Request information about MEWA (Multiple Employer Welfare Association) plans. CONTACT: (800) 221-7303 (New York) (888) 825-0911 (Los Angeles) Request a consultation to discuss individual plans available on the open market. Once qualified, participants must be credited with 400 hours of work in the subsequent six-month period to extend coverage. CONTACT: Your payroll or labor relations department. Dear PGA members and fellow readers, The rumors are true. After a deeply gratifying and probably overextended run, I have relinquished the editorial reins of Produced By and ceded my post as head communications guy at the Producers Guild. By my count, this is the 98th issue of this magazine and the fifth to appear without my name on the masthead. It was February 2001 when Vance Van Petten handed me the reins of this infant publication and trusted me not to drop it on its head. Mostly I didn’t, though some contributors might contend otherwise. In the early days, to be fair, there was a lot less at stake. The day I first sat down at my desk in the PGA office, our membership numbered about 350. When our merger with the American Association of Producers was consummated a couple months later, it passed 800. That seemed like a lot of members at the time. When I left the PGA on my last day—18 years and two days later—the number of people who could proudly call themselves PGA members was north of 8,200, spread all over the country and the world. And while I don’t credit the Guild’s amazing, almost defiant growth to the lure of a sharp-looking magazine, it presumably didn’t hurt either.